The Easter holidays will be between March 25 and April 2 this year. It is the ideal time to escape from the routine life and take a short break with the whole family. 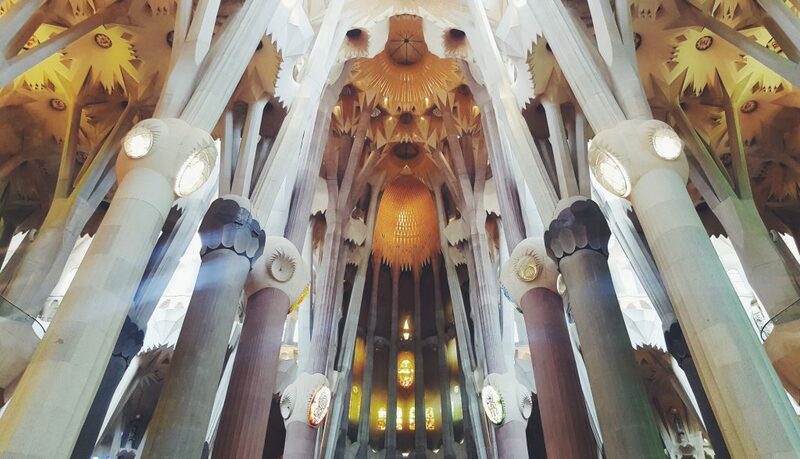 If you want to visit Barcelona, take advantage of these mini-vacation and lose yourself in the rhythm of the city. Barcelona is in a traditionally Christian country, so during these dates there are some religious acts. For example, there is a parade around the Cathedral of Barcelona on Palm Sunday (March 20th), where children go with their palms to be blessed. You can purchase a palm in one of the stands in Las Ramblas or any florist. Although the Holy Thursday (March 29th) is not a public holiday in Catalonia (as the Good Friday and Easter Monday are, be careful with the timetables of the transport and services! ), this day is not exempt from activities. 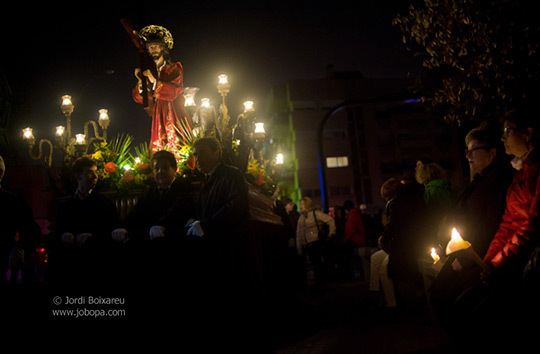 The most important one is the Procession of Silence of Badalona: it has been celebrated from the seventeenth century and the participants keep absolute silence while they’re carrying a lighted candle. 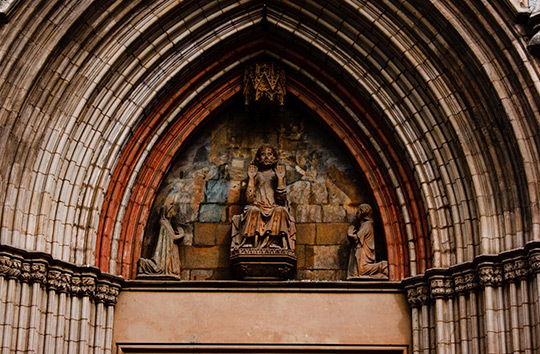 Good Friday (March 30th) is celebrated by the different churches of Barcelona with their own Stations of the Cross, the liturgy of the passion and death of Christ. It is a good opportunity to visit the Cathedral of Barcelona, the Santa Maria del Mar church or the Sagrada Familia. Another option is to go to L’Hospitalet de Llobregat, where you will find the street processions typical from the south of Spain. While in Easter Sunday (April 1st) it is very common to go out for lunch with the family, Easter Monday (April 2nd) is known in Catalonia as “Dia de la Mona”. 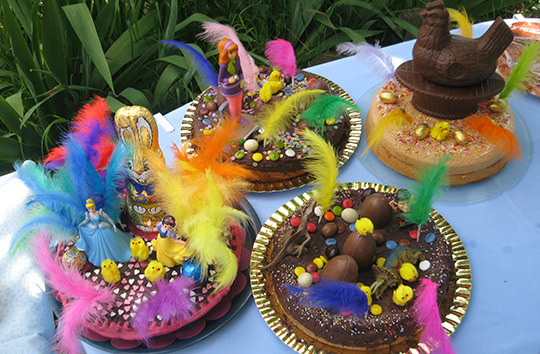 The tradition says that godparents have to give “Monas de Pascua” to their godchildren: an Easter cake with chocolate sculptures and all kinds of figures around. We recommend you to visit some bakeries and cake shops days before to taste some. If you want to enjoy a day of shopping in the city, it is better to do it during a weekday or on Saturday, because most shops are closed on Good Friday, Easter Sunday and Easter Monday. However, most museums will be open, so to organize cultural visits during these days can be a great option. This year, Easter holidays comes right after the beginning of spring, a great opportunity to go through the centre of the city, walk along the Ciutadella or the Park Guell, discover masterpieces such as La Pedrera and Casa Batllo, and admire the Montjuïc Fountain music show. You will find several MH Apartments located throughout the city, so you can choose the closest one to your favorite tourist attractions.